If you read my previous post you will know that I recently reviewed Puppy Linux and in particular the Wary version. This was one of three versions of Puppy Linux that I downloaded. The other two are Slacko and Lucid Puppy. This post is about the Slacko version of Puppy. The file size is 115mb which is slightly smaller than the Wary version which is 136 mb. The point of Puppy Linux is that it runs from memory and so unlike most distributions there is no prolonged installation. Once you have burned the ISO to disk you can reboot your PC and Slacko will boot straight from the CD. What is more is that because the whole operating system loads in memory the CD can be removed once the system has booted. I am running Slacko on a Samsung R20 with 2 gb of RAM which should be more than adequate to boot Slacko. 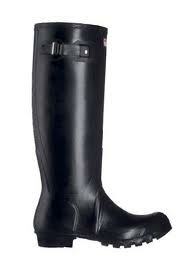 The boot time on average for Slack on the Samsung R20 was 2 minutes and 15 seconds. This is of course not spectacularly fast especially if you compare it to the latest Fedora but being that the whole operating system is loaded into memory during this time it is fairly impressive. 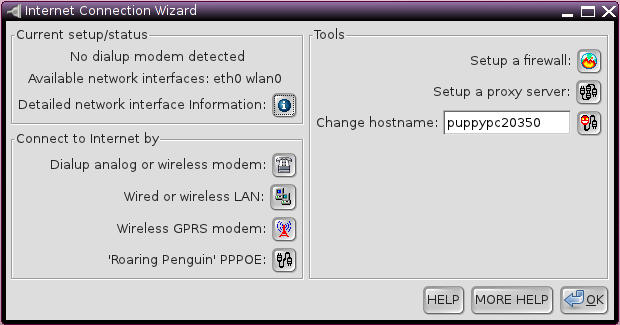 If you read my review of the Wary version of Puppy Linux you will know the first use asks various questions such as whether to use xOrg or xVesa, which timezone you are in and the keyboard settings. In Slacko all of these are worked out by default and so your desktop appears straight away and is ready to use. A small window appears welcoming you and then the window above appears allowing you to personalise your system. My biggest mistake when I first started was to not look correctly at this screen and so the first time I tried to use the internet my keyboard was set to US instead of UK. As with Wary to set up the Internet with Slacko you need to click the connect icon. 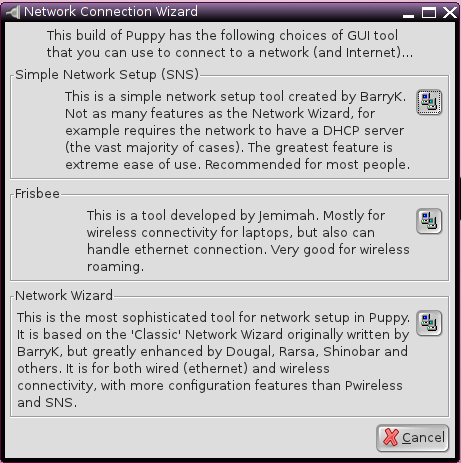 The internet connection wizard is displayed. As with Wary I do not find this the most intuitive of wizards. I would suspect a newbie would have a hard job deciphering this. I wanted to set up my 3 mobile broadband mifi connection. To do this I clicked on the Wired or Wireless LAN button. There are three buttons to choose from. The first one is the simple network setup. The simple network wizard will work for most people and is very simple to use. Your network should appear straight away and all you have to do is enter your key. Unfortunately for 3 mobile broadband it doesn’t work. Frisbee I found a bit confusing and despite finding my network and me entering the key I could not get the internet to work. 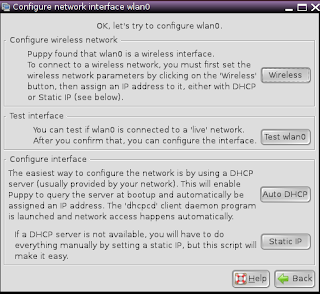 The Network Wizard works the same way as described in my previous post about Wary Linux and this is the method I ended up using to connect to the internet. This is basically a 2 step process. 1. 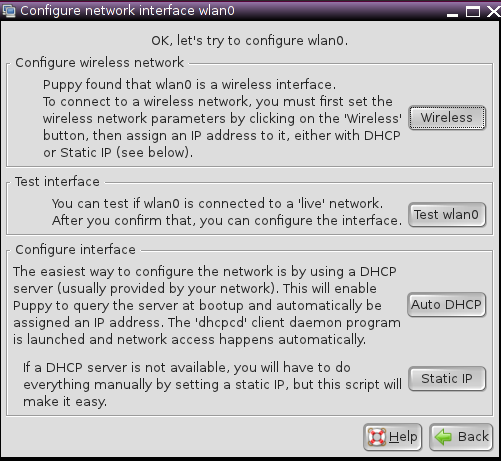 Click the wireless button and set up the network. When you click the wireless button the screen to the right appears. Click the wlan0 button to get to the screen below which allows you to scan for wireless networks. 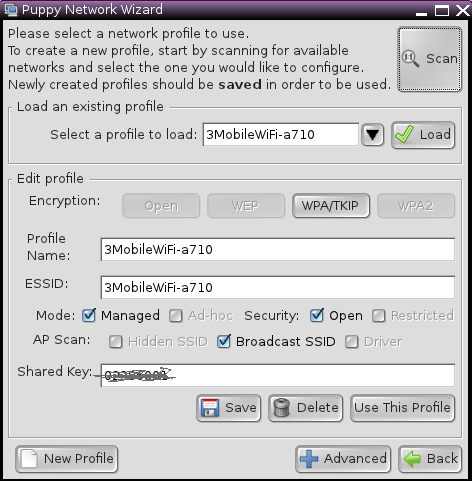 The scan button will find all available networks. When you select your network enter the key and press save. Then click use this profile. This will send you back to the first screen where you can then press Auto DHCP. As I mentioned earlier compared the *buntus it is a long drawn out process to connect to the internet. The desktop is laid out in a similar manner to the one described in my review of the Wary version of Puppy. There are 4 rows of icons laid out in a logical order. 1. The first row has mainly system tools such as a command line icon, help, install, and file icon. 2, The second row has office style icons such as calc, paint, draw and play. 3. The third line has connectivity icons such as email, chat and connect. 4. The fourth line just has a setup icon. icons for virtual panes and a system tray with the usual icons for volume, connectivity, batter power and memory usage and of course a clock. Finally on the right hand side there are icons for locking the screen, compression and the trash can icon. Personally I don’t really like a desktop too cluttered with icons but that is personal preference. All the applications within Slacko (and indeed Puppy in general) are lightweight. The reasons for this are obvious in that the whole operating system has to load into memory. If the system was flooded with resource heavy applications it would be like a jumbo jet filled with hippos trying to take off. There are a whole host of applications installed by default including office applications to write documents and create spreadsheets. Abiword is installed by default and it is perfect for writing letters. The spreadsheet software is gnumeric. Whilst it lacks the functionality of Microsoft Excel and Open Office/Libre Office it has enough functionality to create fairly sophisticated sheets. The paint application is mtPaint and there is a screen capture element which works very well. (All the screen captures in this document were created using mtPaint). The web browser is SeaMonkey which works perfectly fine and contains the majority of features I would use a browser for. There are tools for creating disks, backing up data, managing disk partitions. There are personal organisers, personal finance managers and address books. One of my favourite tools is also provided, Geany. Geany is a light weight development environment. The reason I like Geany so much is that it loads files quickly, has autocomplete for PHP statements but it isn’t resource intensive. There are music players (Gnome Player) and CD Rippers (PMusic) and MP3 converters (FFConvert). 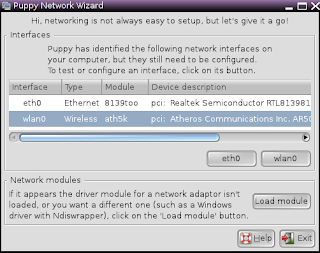 Puppy Linux has its own package management using PETs. To install new PETs click the Install icon. The screen that appears is in two sections. The top half of the screen deals with installing Puppy onto a hard drive. The bottom half provides buttons to install new applications. Click the Puppy Package Manager to install new applications. All the applications in the library are lightweight although it is possible to install Chrome/Chromium or Firefox. LibreOffice is also available. You can also install GIMP and Inkscape. I said in my review of Wary that I don’t think you would use Puppy as your main distro on your all singing and dancing laptop because why would you? If you have a quad core processor with loads of RAM and a massive hard drive you may as well install a distro with all the bells and whistles. Puppy is good for net books and for older laptops and could easily be used for alternate purposes which I will write in more detail in a separate post. So Slacko or Wary? I have to say I preferred the Slacko version. It looks a little more polished and the setup is slightly easier but there isn’t much in it. If you are using Wary and wondering whether Slacko would be better then I think you will not be saying “wow what have I been missing”. There is a nice feature in Slacko which allows you to load in extra .sfs files which are storage areas placed on your hard drive for storing files. I hope you enjoyed reading. Next time it will be Lucid Puppy. Hi! I read both your blogs on the Puppies and found them dead on. I'd like to suggest that you might try "Saluki". This project is based on "Racy" so it is more for "modern" systems. It uses XFCE for the window manager and is more polished but still blazingly fast. Cheers. Try the Lucid Puppy version,which is a puppy- Ubuntu hybrid. This has access to all the Ubuntu repo's. They are working on a precise version. Have I understood you correctly to be booting from CD each time? Reading from optical media will slow you down at boot far more than Puppy's habit of loading itself into RAM. I have a frugal install (basically, read-only files as they look on the CD, but on the hard drive instead) and mine usually boots in about 40 seconds- that with ~3GiB of extra software installed, many running their own little startup processes at boot. Anyway, thanks for giving Puppy a try! Personally I would recommend putting it on a usb stick and booting from there. I think it depends whether you want puppy as your main distro whether you want to go for the frugal install. Whilst writing these posts about Puppy I have come up with about a dozen useful ways in which Puppy can be used and I plan to write a post about them shortly. The reason you can only use 4gb is that 4gb is the maximum file size on FAT32. Presumably you only need the rest of the 16gb for file storage and not for applications. There are various options available. 1 is to partition your drive into smaller chunks. use the 4gb for puppy and use the rest to store files such as images, documents and images. Another option is to format the whole usb drive to ext and reinstall puppy. This will enable you to have a file size greater than 4gb. I would recommend the first method of partitioning the usb drive though. If you're not familiar with Puppy Linux, it's easy to misunderstand the purpose of the personal save file. The point of the save file is to preserve stuff that you use to customize Puppy to your taste. That means stuff like your application config files, shell scripts, etc., and any major application packages you install. The typical user does not have a ton of stuff like this, which is why 512M of save file is usually perfectly adequate. Stuff like image files, videos, MP3, and anything else that is either big or nonvolatile really belongs on another partition, separate from the partition where you have Puppy installed. In the interest of saving ANOTHER 256-384 Megs for file storage and apps installations, I also use a 16Gb flashdrive for Racy Puppy with a P4 2.#Ghz bunch of lap and desktops. I set the main (bootable/primary) partition to 4Gbs since I've tried Slacko Puppy with Firefox and run the live install with Universla USB Installer there, and format the other 12Gbs with data, multimedia, websave folders, etc.. I also have another drive with several Linux ISO files and the Uni USB Installer app for use in Windows, to reformat the primary 4Gb partition with a live install of all the distros that will fit in 12 Gbs. Back on track though, whenever I use a USB live install of Puppy, the one rule that makes me set the savefile to a very slim and tidy 128Megs, is that the entire Puppy install = 114Megs, and it's only 256 roughly for Slacko. If the config files for the apps are larger than the OS, we're all in trouble! !.